BBC NEWS | Business | Q&A: What's behind power price rise? Q&A: What's behind power price rise? Wholesale gas prices have risen 66% since February last year. All six big energy suppliers have announced significant price rises since the start of the year. Customers of British Gas, Npower, EDF, Scottish Power, Scottish and Southern Energy and E.On have been facing double-digit rises. Scottish and Southern Energy was the last to make the move with an average 14.2% increase in electricity bills, and a 15.8% lift in gas charges for domestic customers coming into force on 1 April. In early January, Npower put prices up for its electricity customers by 12.7%, while its gas price rose by 17.2%. That same month, EDF put up electricity tariffs by 7.9% and gas prices by 12.9%. British Gas increased gas and electricity prices by 15%. Scottish Power increased gas bills by 15% and electricity bills by 14%, and E.On put up gas bills by 15% and electricity tariffs by 9.7%. Double-digit power price rises - that is a huge amount. What's the reason? The problem for all energy suppliers is that the price they have to pay for gas and electricity has risen in recent months. British Gas, EDF and Npower have all highlighted the fact that wholesale prices have surged since February last year. EDF says gas prices have risen by 117% and electricity prices by 90% over the period. The companies also cite a doubling in their spending commitment to reach government carbon emission reduction targets. Will everyone face the same price rises? No. Another factor in the rising bills, EDF and Npower say, is higher distribution costs. EDF says it now costs an extra £4 per year to transport energy to electricity customers and another £32 per year for gas customers. Some Npower customers in the East Midlands face a rise of almost 24% in gas prices and 27% for electricity. Consumer watchdog Energywatch has called for a Competition Commission investigation into the energy market. Is this likely to happen? Despite a number of questions having been raised about competition this had seemed unlikely. However, on the day British Gas announced a big rise in annual profits, regulator Ofgem said it was to use its Enterprise Act powers to look into the market for households and small businesses. Ofgem had said just a month earlier that there was no evidence of anti-competitive behaviour and the market was working. But if this review finds problems it could refer the matter to the Competition Commission for investigation. Domestic customers are still able to switch very easily between suppliers, and there is no evidence of collusion on prices between the big six providers. A Competition Commission review would stall the companies' management from making significant decisions, such as on metering, for the two years an investigation would take. I thought that wholesale prices had dropped? What's been going on? It is true that wholesale prices had fallen from highs seen in early 2006 but they began to rise again in about February 2007. A variety of factors have been at play. 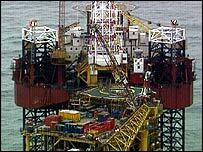 Most of our gas still comes from the North Sea, but production has been declining faster than was expected. As a result, the UK has had to import more of its total gas supplies. Meanwhile, the wholesale price of gas - which is linked on the continent to the price of crude oil - has been driven higher by record oil costs, which this week broke through the $100-a-barrel barrier. Meanwhile, rising coal prices have made producing electricity at coal-powered plants more expensive. And as European firms turn to the UK's more liberalised market for supplies as a cheaper alternative to that offered in mainland Europe, that has also driven up UK wholesale prices. So what is wrong with importing more? Not only has imported gas become more expensive, it has also been hard to get hold of. British Gas says that transporting gas through the European pipeline network is tricky, because it is owned and run by a variety of national monopolies or semi-monopolies on the continent. Last year, the European Commission found that said some of Europe's biggest energy firms were holding back gas supplies and promised a crackdown on "anti-competitive behaviour". It accused big European energy suppliers of holding back gas supplies, stifling competition and thus driving up prices. What can gas users do? Big industrial users often agree to pay whatever the prevailing market price is, so they can probably do little but grin and bear it. But some have cut back production and laid off staff. Domestic customers have the option of trying to use less gas and electricity - if they can - or trying to find a cheaper supplier. In addition, some suppliers offer their customers the chance to sign up to a long-term contract, which guarantees prices for a specified period. The government officially encourages homeowners to switch to cheaper suppliers. There are plenty of organisations willing to help consumers and millions of households have already switched suppliers. But about half the UK's households have yet to switch.